This dairy farm life is hard, and I don’t have the answers. I’ll be honest, it’s been hard to find inspiration to put words to my blogs. I’m feeling what every dairy farm family is feeling right now — the weight of the financial situation of the industry. This week I heard more announcements of farms choosing to sell out. Tough, heartbreaking decisions that honestly bring tears to my eyes. Especially when they admit they don’t want to have to stop milking cows. Dairy farming teaches us early on that life’s not fair. That much-anticipated perfect breeding on your favorite cow sometimes arrives with a calf that never takes its first breath, no matter how carefully watched. The much-loved favorite heifer of your children’s won’t breed. Your top-producing cow finds some way to injure itself beyond repair. 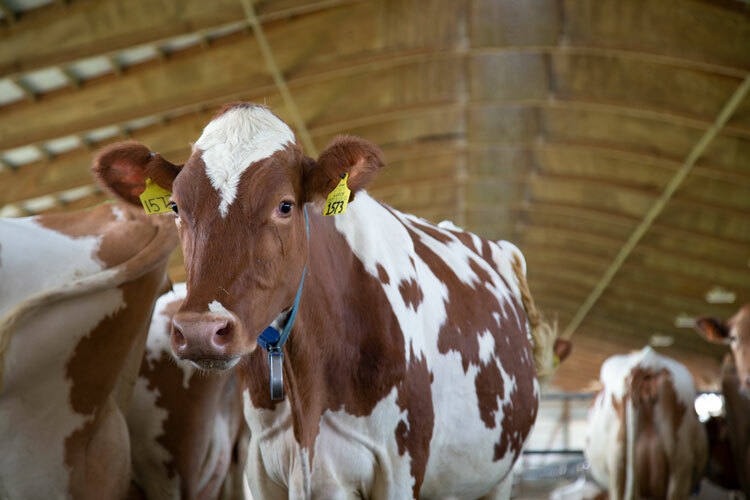 Those are unfair truths of dairy farming that we all have learned to accept. It’s just a part of this life, but this feels unfair in a much different way. We accept the long hours as just another part of the job. But the fact is that we toil for years on end and then struggle to makes ends even come close to meeting. That is unacceptable. To have to sit down at kitchen tables and ask the gut-wrenching questions you never wanted to have to ask is beyond unfair. To have to hang up the milkers for the last time and watch generations of hard work come to an end is heartbreakingly inexcusable. Life is not fair. Dairy farming is often not fair, but this all feels unfair in a way that should be unacceptable to us all. Gone are the days when you could just milk enough cows to support your families because that’s what you want to do. That feels unfair in a way that breaks my heart. I don’t have the answers, but we all need to be part of the conversation to find a solution. Just like we all feel the pain, we can all help solve it.